Mobilunity continues a good tradition of visiting Wolves Summit annually. This year our Company sponsored Wolves Summit 2017, the fifth biggest multinational networking event that was held in Warsaw, Poland. 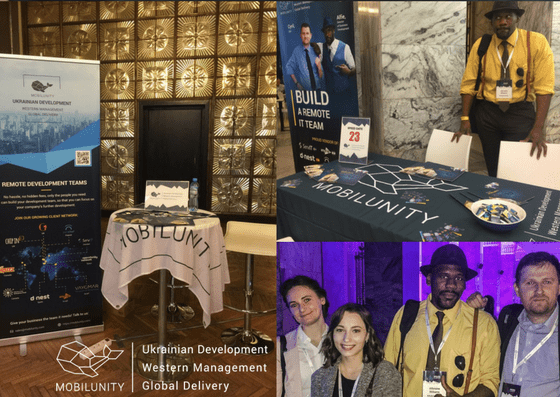 All event attendees were able to meet us in person near the branded table, get a piece of Ukrainian chocolate, learn more about building dedicated teams in Ukraine and enjoy fresh coffee from our branded cups. 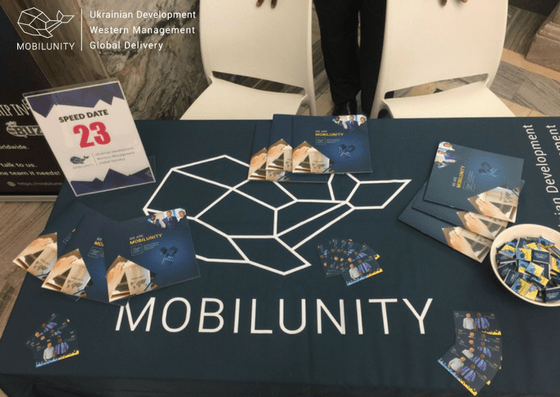 During 2 spring days the team of 4 Mobilunity people including CEO Cyril, Director of Business Development Alfie, Mobilunity Account Manager Olga, Mobilunity Marketing Department Manager Kateryna actively participated in the number of 1-on-1 meetings, answered questions about our services near the branded stand, visited offices of tentative clients, chatted with current customers, and of course enjoyed the European spirit of old Warsaw city. These were rich for new connections days full of new experiences, interesting meetings and acquaintances. Are you interested in meeting our management in person? Sign up for the next event or simply drop us a line!